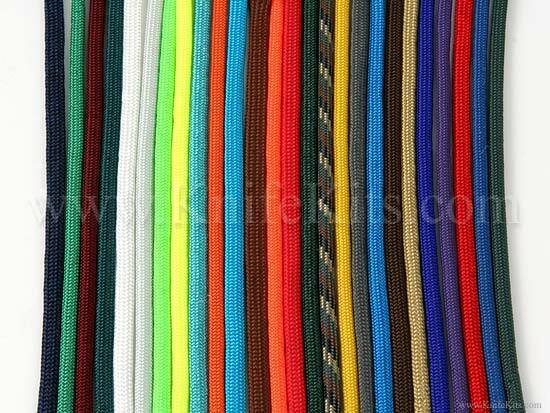 This is high-quality nylon parachute cord, commonly called "paracord". 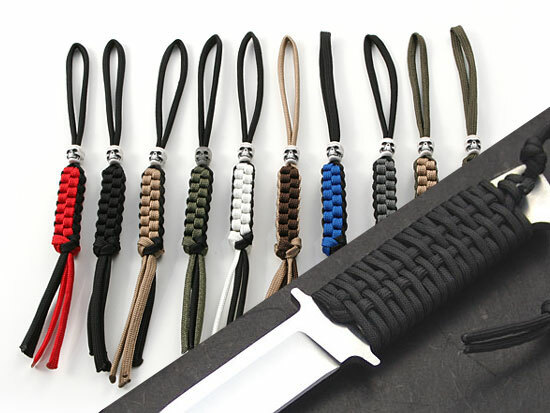 KnifeKits.com is proud to offer the most extensive line of colors and options available for professional use in Paracord Lanyard Making and Parachute Cord Knife Handle Wrapping. 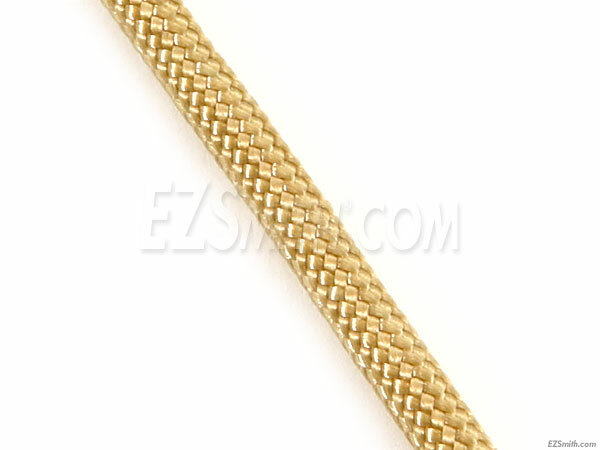 Our paracord comes with nylon internal strands that can be removed, if desired, for "flat" cord applications. HOW MUCH PARACORD DO I NEED TO WRAP MY HANDLE?